Ketika membahas tentang angkatan sekolah atau kuliah, kadang saya merasa insecure karena akan mengingatkan tentang usia masa lalu atau tentang pencapaian yang hingga saat ini masih lajang belum bisa menandingi Mbak Hadia Tajik yang udah jadi menteri di usia 29 tahun, atau Mbak Amal yang sukses di karir dan mendapatkan Om Clooney di usia 36 tahun #gagalfokus. Sebelumnya saya juga enggan datang ke konser Glenn Fredly karena khawatir akan pulang dengan hati yang berdarah-darah, setelah dompet yang dibuatnya berdarah terlebih dulu. 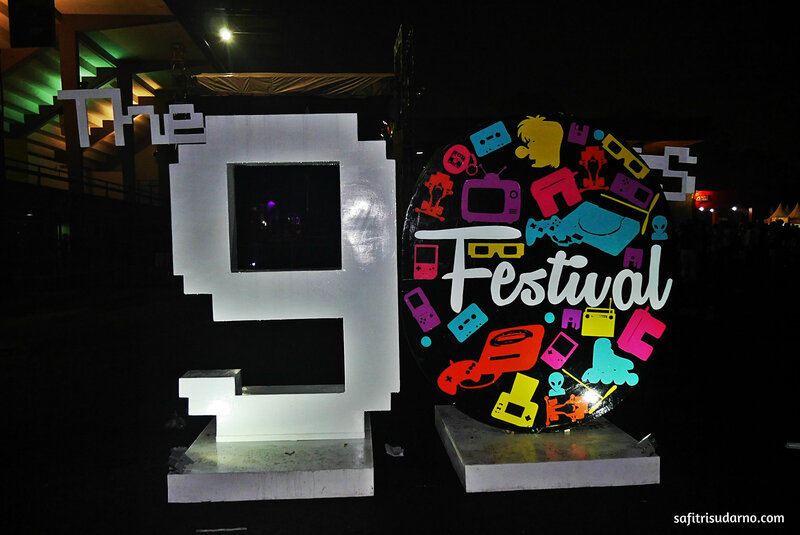 Namun setelah ditawari oleh teman harga presale The 90’s Festival, sekaligus dibelikan dan saya tahunya tinggal beres, tanpa berpikir panjang saya langsung mentransfer empat ratus ribu rupiah untuk membeli tiket masuk. So leave a space deep inside for everything I’ll miss cause I’m on my way..
Belakangan saya senang mendengarkan salah satu stasiun radio di Jakarta karena it comes with good and nice songs. Saya memutar lagu ini berulang-ulang :D. Bisa dijadikan soundtrack sebagai pengingat masa-masa akhir pendidikan saya selama 1 tahun ini ^^. Hope you like it too. I dedicate this song wholeheartedly as proof of your presence. I am into these guys since long time ago. They do a great and terribly awesome job on youtube. Don’t waste your time, enjoy ;). You just gotta make the choice.. yeah..
No matter what I say or do I’ll still feel you here ’til the moment I’m gone. Set me free, leave me be. I don’t want to fall another moment into your gravity. Here I am and I stand so tall, just the way I’m supposed to be. But you’re on to me and all over me. You loved me ’cause I’m fragile. I live here on my knees as I try to make you see that you’re everything I think I need here on the ground. But you’re neither friend nor foe though I can’t seem to let you go. When I heard this song, I felt an agony that burnt the cold that came from heavy rain outside my room. I keep wondering, why some people make things complicated when it could be more easier? Why ignore and do slaughter to their own conscience? Often, people like to put themselves in an empty cold chamber or infirmary to satisfy their pride, rather than to be honest and swallow little of their pride and make a confession about the things that they keep inside. So, here is the “Back To December” by Taylor Swift. You can read here for the lyric. Have a nice day all ^^. I love every video made by Kurt Schneider. He’s such a talented and adorable guy. So, while waiting queue bathroom, I’m searching on Youtube and find this :). Kurt, I want MOREEEEEE. You’ve done a great job ^^. Actually, this song reminds me when I still worked at SE*N :). Okay I’m deadly confused. On my previous post, I wrote that Lifehouse will be here on Dec 4th, 2010. And yesterday I heard that Boyce Avenue will be performing in Jakarta too. And I have to choose one. Only one of them :(. Because on 5th Dec I have a final test for my french class >.<. They are too beautiful to be ignored :). Somehow when I hear this song, I feel like something infiltrate inside me and fill the empty space between my blood and my veins. Slow and continuous, until it finds eternal place to rely on. I found him after read a post on her blog. I clicked blindly-pig everywhere *ngarang abis vocabnya 😆 , tried to find some interesting videos. And I fall in love with this song. Sam Tsui, you really make my day, thank you ^^. About a thousand miles too far away? Tu me manques. Je sais que tu es là. it doesn’t mean we’re not looking at the same sky. And this gravity, tears and blood keep us as human.